The Activation Hub is the interactive expo experience within Sustainable Brands. With over 3,000 attendees at SB’18 Vancouver, it’s where the global conversation becomes actionable. This is where you’ll find multinational brands, solutions providers, social enterprises, academia, institutions and government collaborating to reshape the future of commerce. 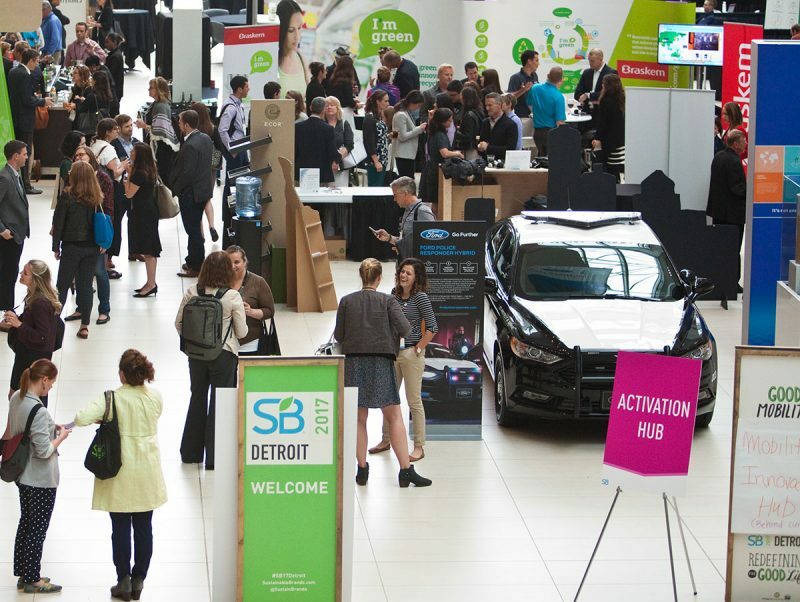 The SB Activation Hub encourages collaboration and celebrates purposeful innovation. It’s a way to engage directly with the right community of business and brand professionals who are looking for unique and targeted ways to add value to their business. Gain critical face-to-face interaction with influential decision makers, secure new business and develop new partnerships. Demonstrate a commitment to your industry by supporting market transformation and showcasing your new tools, new materials and technologies, new packaging and distribution solutions, and more. Please fill out the form below to learn more about engagement opportunities for SB’18 Vancouver, as well as all future events and opportunities throughout the SB integrated platform.